City of Rockport | "Rockport Names Interim Police Chief"
City Manager Kevin Carruth announced the hiring of Fred Fletcher as Interim Police Chief effective November 30. A 23-year law enforcement veteran, Fletcher is stepping in for retiring Police Chief Tim Jayroe. Recruiting for a full time Police Chief is expected to be completed by early 2019. 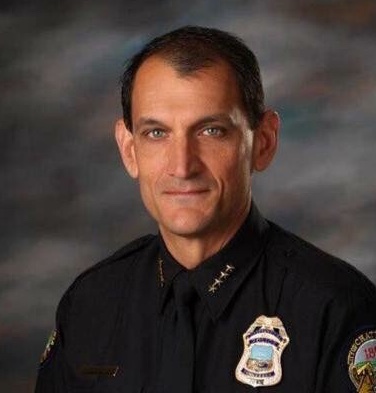 Currently serving as a law enforcement and public safety consultant, Fletcher retired from his duty as Chief of Police for Chattanooga, TN in 2017. Reporting directly to the Mayor in a Mayor-City Council government, he was responsible for five assistant chiefs, eight captains, 19 lieutenants, 486 law enforcement officers, and an additional 100 employees. He was also responsible for the administration of one of the state’s Police Training Academies. “It is fortuitous that Fred was available to step in as we work through a transition process,” noted City Manager Kevin Carruth. “He brings invaluable experience and insight to Rockport not only as a ‘big city” police officer, but also in communities that have a large influx of tourists.” Jayroe will serve in an advisory capacity through early 2019. Fletcher was previously associated with the City of Austin’s (TX) Police Department for 20 years. He started as a patrol officer in 1994 and rose through the ranks to Commander, Region III, where he provided leadership for 260 sworn personnel, including patrol, investigative, undercover street crimes, and community policing units. Before starting his career in law enforcement, Fletcher was an auditor with KPMG, one of the largest certified public accounting firms in the world. He earned a BBA in accounting from the University of Texas and is a graduate of the Federal Bureau of Investigation’s National Academy. He has received significant awards and community recognition throughout his career.